What makes a wedding trend thrive for many years? 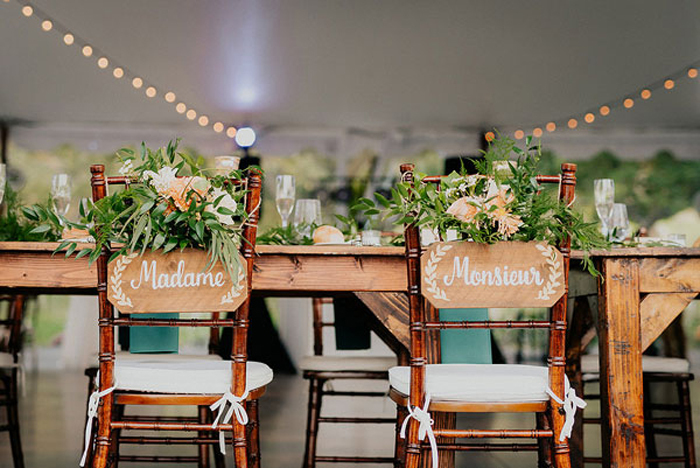 In the case of the incredibly popular rustic wedding trend, the answer is its ability to be personalized and take on new forms. And we are thrilled with the unique rustic wedding ideas that have come to the forefront for 2018 weddings. Each is readily customized to match your personality and creative wedding vision. Extend rustic wedding dreams into new realms as you explore these exciting new renditions of the rustic wedding theme. When you think of rustic, do you imagine something historic and ripe with tradition or glistening wood and lush greenery? 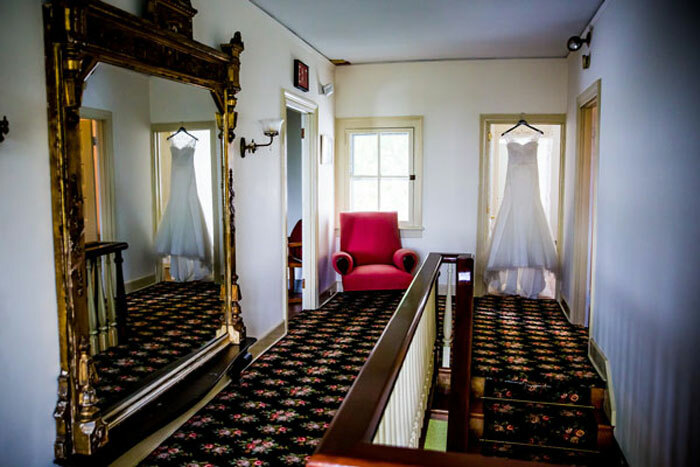 Whether your vision of the rustic wedding theme is traditional or modern, the Springton Manor Farm property that dates back to the 1800s but is continually updated with amenities is a clear choice for your wedding location. Farmhouse linens: a perfect choice for cocktail hour highboys in the enclosed porch with quarry tile floors. 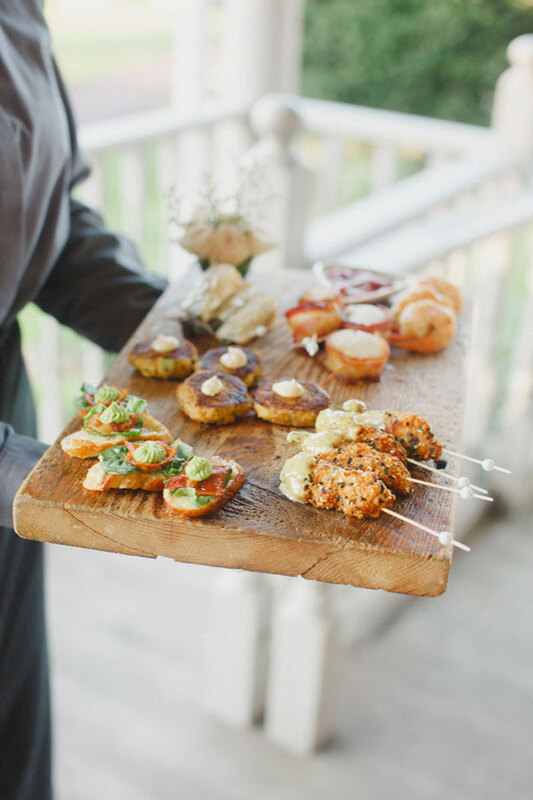 Farm-to-table appetizers presented on rustic boards: from small bites to mini desserts, the professionals at Scott Catering can help you make fresh seasonal food presented upon wood rounds stunning statement pieces that can even match your ring pillow! Vintage serif lettering: from invitations through menus, this puts a polished touch on all your wedding stationery. Cross back chairs: choose your finish and design to put your personality into your wedding seating. Table garland: weave greenery and votive candles into tablescapes. Farm-to-table dinners: rustic 2.0 has a relaxed vibe that calls for family-style dinners and seasonal menus crafted with love. If your rustic wedding dreams are a bit glamorous, then we invite you to explore the bohemian rustic wedding theme that integrates top 2018 wedding trends into classic rustic wedding ideas. The bohemian theme welcomes you to embrace color palettes filled with metallics, greenery and intricate finishing touches. From the charming renovated red barn to the bronze sconces of the historic Manor House, every structure found in Springton Manor Farm is perfectly suited to some royal decorations that embody the bohemian vibe. Elegant lighting: as simple as string lights hung over tables or as grand as chandeliers—your style calls the shots! Personalized décor: display your monogram or wedding date in creative ways. Macramé wall hanging backdrop: trending at all 2018 weddings, and especially well suited to bohemian ones. Interactive food stations: let each guest craft their meal exactly to their liking when they visit chef-attended food stations. 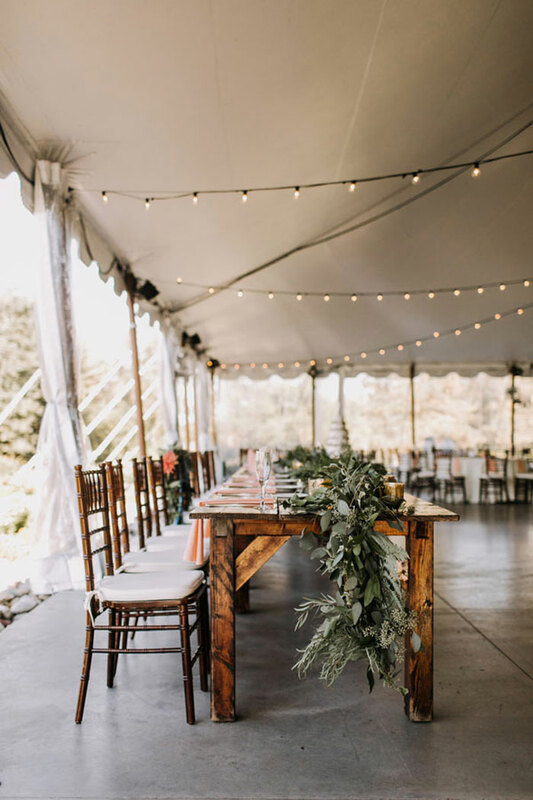 Wooden details, lots of greenery and plenty of texture are trending at all rustic weddings this year, but especially those taking on a woodsy vibe. And with farm-to-table catering overtaking traditional catering at weddings, this theme is a great choice for couples who want their menu to exemplify their wedding atmosphere to the fullest. 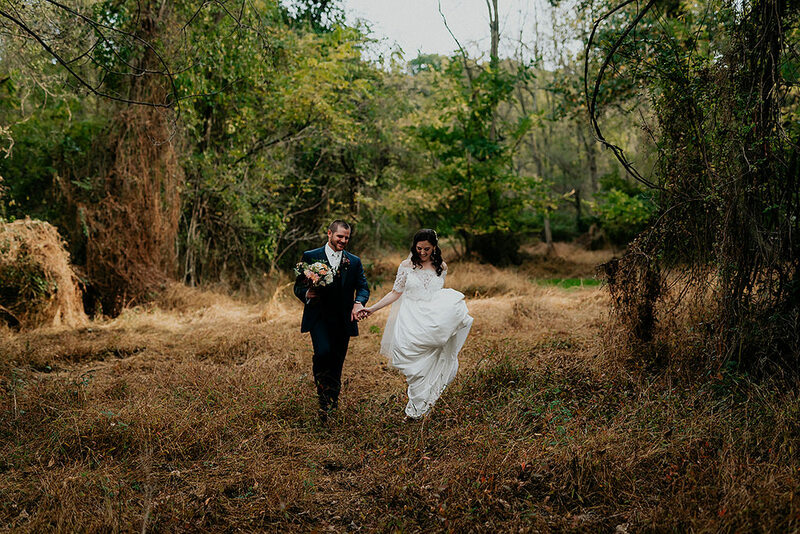 At Springton Manor Farm, you can tie your woodsy rustic theme into every moment and aspect of your wedding. Greenery throughout: from table garlands to centerpieces, lace delicate and bold greenery throughout your wedding décor. Personalized wood signage: add your initials or wedding date to the most weathered wood you can find to point guests in the right direction. Garden photos: our beach tree grove and perennial gardens are ideal backdrops for woodsy rustic wedding photos—a wonderful gift for guests to take home. We welcome you to join the couples who brought their wedding dreams to life in the sophisticated Manor House situated on over 300 historic acres of lush farmland. To see how our creativity and award-winning attention to detail can shine a new light on the rustic wedding theme, contact us online or give us a call at 610.733.2516.